One thing every girl should have in her handbag is a lip balm. It’s that time of year when the cold weather takes its toll leaving lips chapped & dry. A hydrating lip balm will not only sooth your lips but also protect them from further damage. 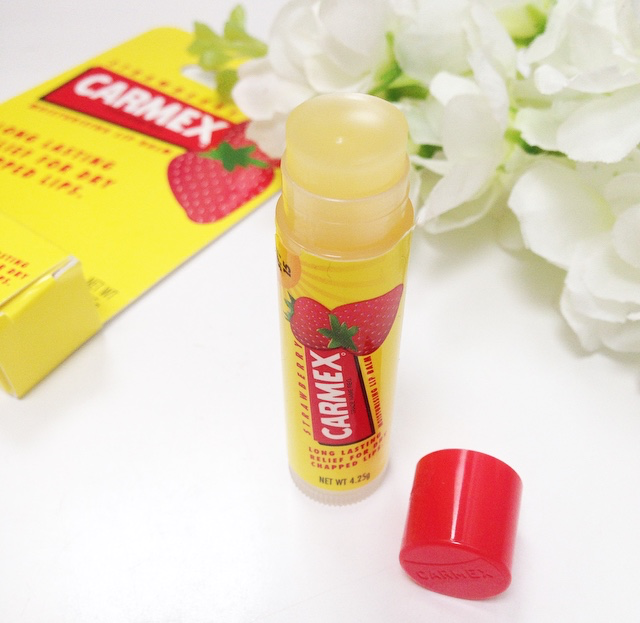 Carmex is a well known lip balm brand that has been moisturising lips since first created in 1937. 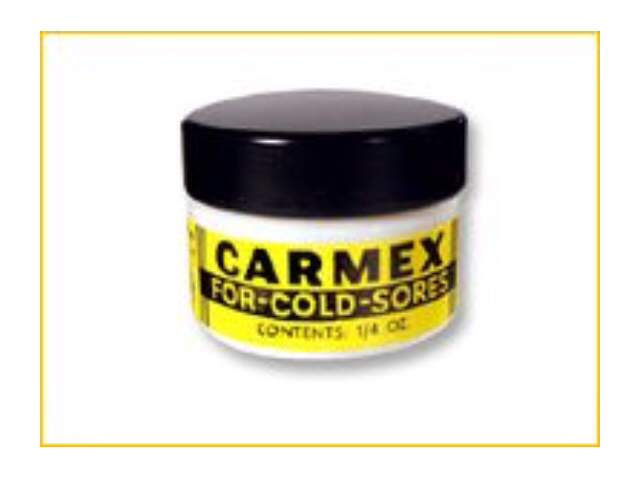 Originally made to ease the pain of cold sores the formula used then is still the same today. Once a well kept secret of models, celebrities and makeup artists. Now one of the worlds most famous lip balms with over 130 sold every minute! Much like the original but with a yummy flavour twist I found this lip balm to be highly effective in treating my dry lips. With the original red and yellow packaging it wasn’t anything exciting to look at. Though it’s the product inside that counts and this formula is thick, long lasting and gives lips a natural shine. 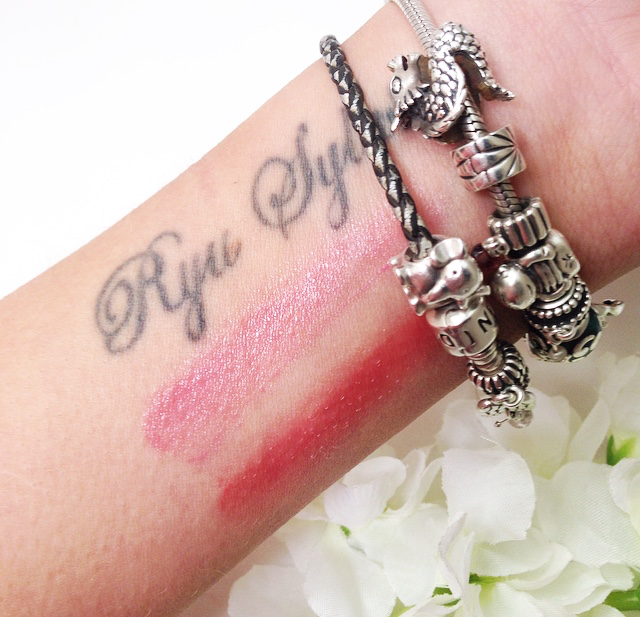 The tingle that it gives your lips is awesome and works well as a base under lipsticks. I found the strawberry scent to be quite light but added a touch of sweetness the original balm lacked. It is great to know that Carmex does not believe in testing on animals and include natural moisturisers such as Cocoa Butter and Lanolin. 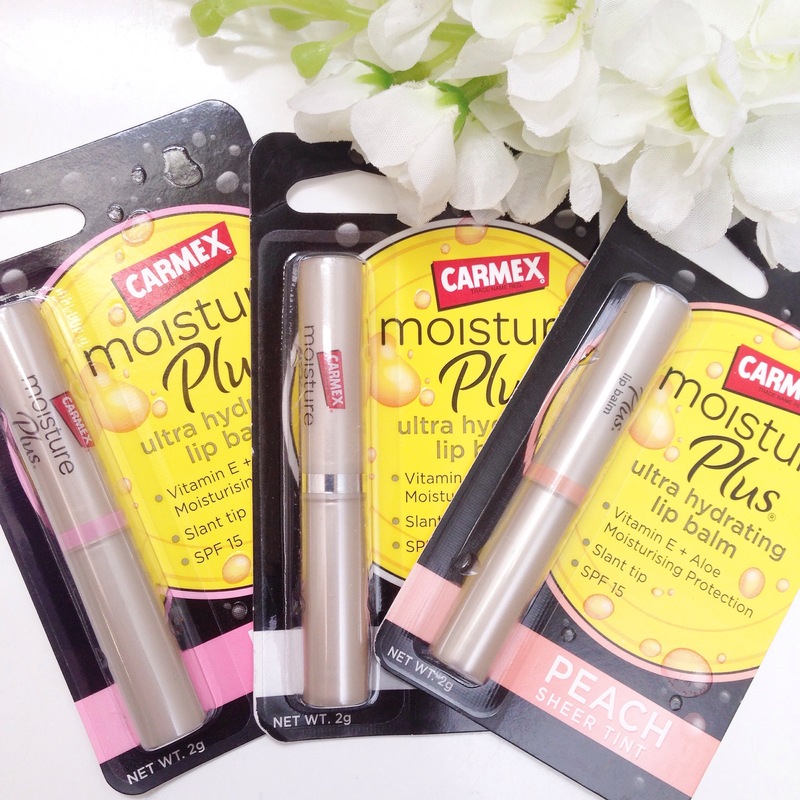 In a modern slim line tube these new Carmex lip balms are stylish and practical. I was impressed with the quality of the packaging and couldn’t wait to give them a try. I found all three to be very hydrating and buttery on my lips. 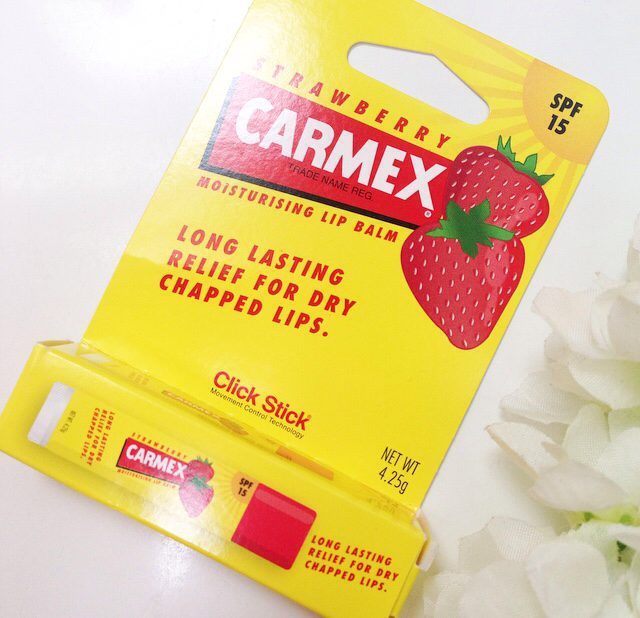 The formula was thinner than the original Carmex lip balms and had a sheerer finish which I love. With added SPF 15 protection they are are perfect to wear in any weather. I was happy to find that the formula in these new balms still includes menthol. I love that little tingle you get when first applying. 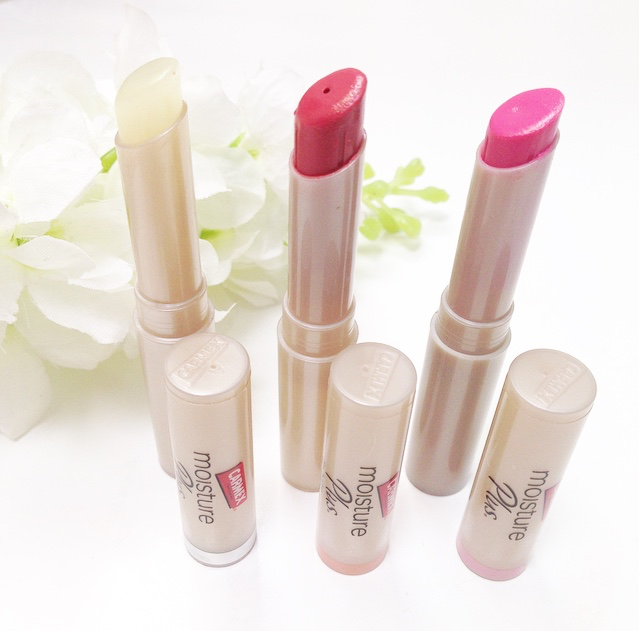 The light tint added to the Sheer Pink and Peach tubes added a nice touch of colour to my lips. Though I was expecting Peach to be more of a lighter orange/pink it was still nice on. Carmex’s products are available to purchase at Leading pharmacies, Chemist Warehouse, Priceline, Terry White Chemists, Chemmart, Soul Pattinson, Amcal Chempro Chemists and selected Coles and Woolworths supermarkets.